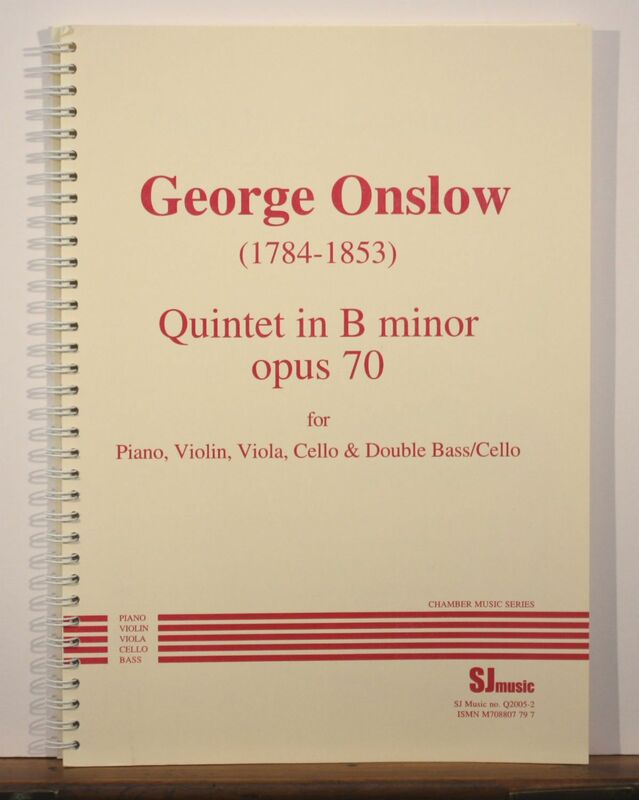 This piano quintet is a major work, with excellent and sometimes challenging parts for all players. 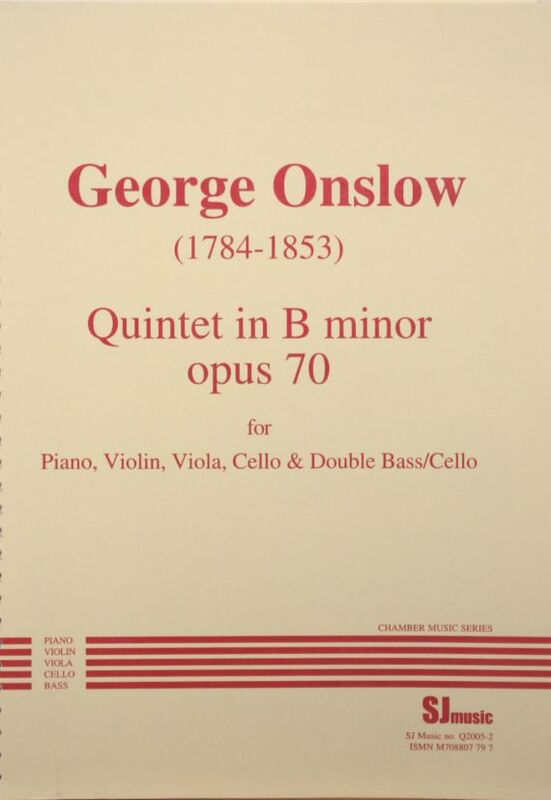 George Onslow, an Anglo-French composer, was born in Clermont-Ferrand in July 1784 and died there in October 1853. He was the grandson of the first Lord Onslow and descended, through his mother, from the family of Brantôme. Although he showed no special love of music in his early years, he later became a prolific composer, particularly of chamber music, including 35 string quartets, and 34 string quintets, some for two cellos, some for cello and double bass and some for 2 violas. Three of his string quintets and one string quartet are also published by SJ Music (Q1993-5, Q1991-1, Q1993-4 and Q1999-4).